Director's Cut version of the game includes additional content, improved audio and visual quality and difficulty selection. Extract it and launch it. In DxWnd, choose Edit and Add. 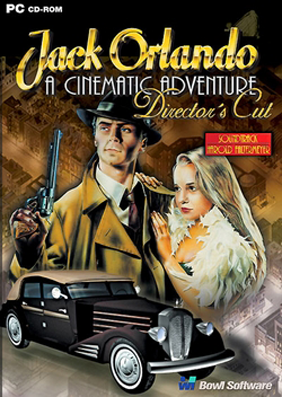 In a Main tab, type in Name - Jack Orlando. Go to <path-to-game> and choose JackOrlando.exe. Check fields in a Generic area: Hook Enabled, Run in Window, Hook all DLLs and Remap Client Rect. Under Position check Keep aspect ratio. Now, go to a DirectX tab. Under Emulation check field: Primary Buffer. Check fields Force cursor clipping. Click OK to close a configuration window. Not available in the Steam version. This page was last edited on 14 December 2018, at 11:37.